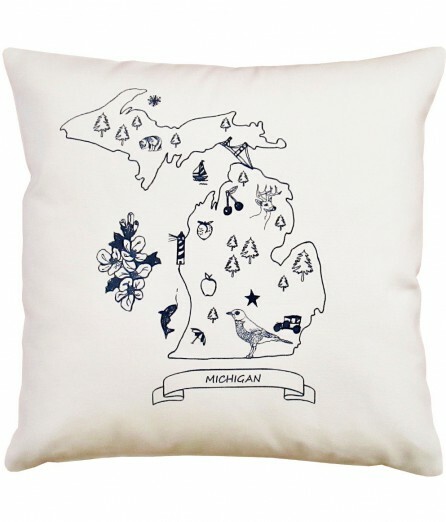 Each 14 x14 pillow is handmade with an original artgoodies design hand printed on cotton canvas fabric on the front, gray canvas on the back, zip closure, serged interior edges, and comes with a poly/cotton insert. Sturdy and Stylish! A fabulous and fresh new addition to your home decor! Handmade in the USA in my studio in Grand Rapids, MI!